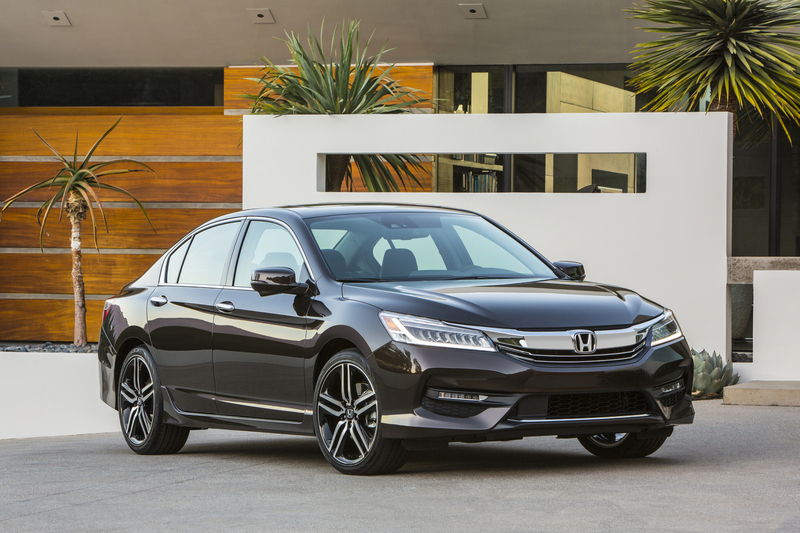 Today in California, Honda introduced the 2016 Honda Accord, which received a major overhaul in appearance. The new, sportier and more sophisticated Accord will be the first Honda model to feature both Apple CarPlay and Android Auto. Without a doubt, this will be the “highest-tech Accord ever.” Additional changes will include new styling, new display audio touchscreen interface, Honda Sensing (set of comprehensive safety and driver-assistive technologies), front and rear parking sensors, wireless charging and numerous other standard and available features that we are told will be revealed over the next several weeks. The exterior changes include a new aluminum hood with a more aggressive front grille, while the back of the Accord sports restyled LED headlights and a redesigned bumper. If the Accord Sport and Touring trims are something you are interested in, you can also expect new, larger 19-inch wheels and tires along with a new rear deck spoiler. 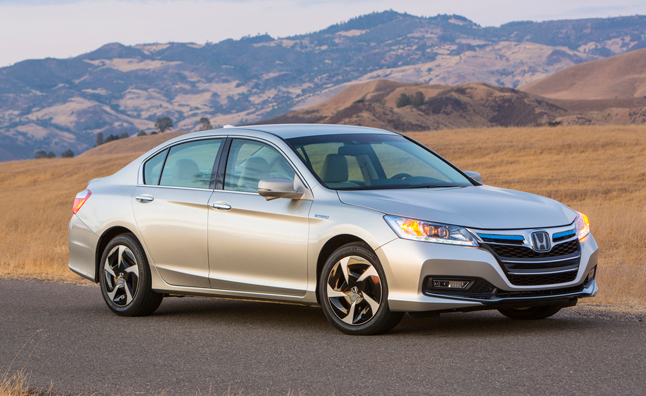 We are already counting down the arrival of the all-new 2016 Honda Accord. Make sure you stay connected with Image Honda and Hamilton Auto Blog for the latest information on this outstanding vehicle. Start your engines! It’s that time of year again, when race fans brace the hot and sticky weather of the GTA and head to the Honda Indy Toronto – but this year will be different. For the first time ever, Honda Indy Toronto achieves full summer festival status, July 18-20. “The festival aspect of Honda Indy Toronto continues to grow”, said Charlie Johnstone, president of the event. There are several newcomers to the festival including the STIHL TIMBERSPORTS Series for its Canadian Championships. Fans will have the opportunity to see top professional logger sport athletes compete in several events, such as the Standing Block Chop. Also making a repeat appearance is the Honda Canada Junior Red Rider program and the Honda World exhibit. Honda World has numerous interactive activities that fans can engage in, as well as games for both children and adults. If you’re up for a challenge, you can participate in the Honda Pit Stop Challenge held each day at Honda world. This gives you the opportunity to test your skills like the pros and change a tire on a real race car. Prizes will be awarded each day to the individual who has the fastest recorded time. Your Ontario Honda Dealer will cover your cost of admission in lieu of a donation for Make-a-Wish Canada. Honda Canada is a loyal partner of Make-a-Wish Canada and have raised more than $200,000 during the 2 previous Fan Friday’s! Participate in contests, autograph sessions, stunt shows and even watch the Indy Car series qualifying for Saturday’s race! Spring has finally arrived…and we are already excited for the winter? I know, right now you’re saying we’re crazy, but it’s only because we are excited about a new sub-compact vehicle that Honda is set to launch next winter. 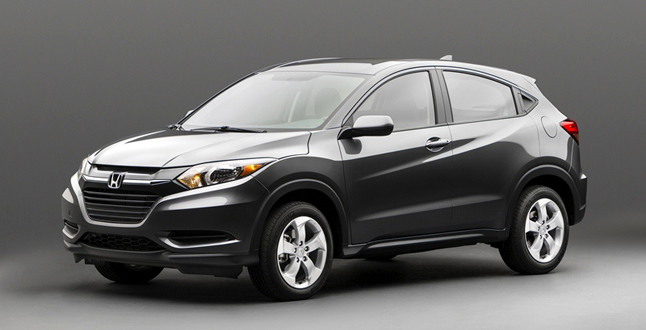 The 2015 Honda HR-V will be joining the all-new 2015 Fit this winter as Honda expands its small car line-up. This new vehicle will be positioned below the CR-V in both price point and size. Like the all-new Honda Fit, the HR-V is sharp looking and takes on a character of its own. Its unique centre tank layout will make it extra spacious for passengers and more versatile for the owner. Standard on the new SUV is the exclusive “Honda Magic Seat”, which will give you the option for multiple seat configurations and the capability to fold the second row seating completely flat. Dave Gardner, vice- president of sales and marketing for Honda Canada Inc. said, “both the Fit and the HR-V demonstrate how great things can come in small packages, and no one does this better than Honda.” With all the HR-V has to offer, we couldn’t agree with him more! The HR-V will appeal to first time car buyers and those individuals who are loyal to the Honda brand. We at Image Honda can’t wait for it to arrive on our showroom floor and we are even more excited to let you experience all it has to offer. Make sure to follow us at Hamilton Auto Blog for the latest on the HR-V and everything Honda. As always, if you are interested in any of the vehicles in our award winning line up, please visit us at www.imagehonda.com or call us at 905-561-4100 today! The Honda Civic Celebrates its 16th Birthday! 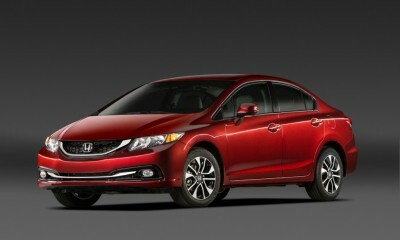 The Honda Civic celebrates its “Sweet 16” as Canada’s best-selling car! In 2013, it outsold its competitor by almost 10,000 cars – “a true testament to the durability, quality and reliability” of the favoured Honda Civic. The Honda Civic, in many ways is Canadian in its own right. Almost every Civic sold in Canada, is built here by Canadians, at the Alliston, ON manufacturing facility. Some of the many improvements on the 2014 Civic include: better fuel efficiency, improved and added technology, improved driving capabilities and a restyled coupe exterior. At Image Honda, we have the enhanced 2014 Civics in stock with great lease & finance rates available. If you would like more information on the 2014 Civic, please click here to visit our website or contact us at 905-561-4100 to speak with a sales consultant and schedule your test drive. A Car That Runs On…Social Media? We have innovation at its finest in Kansas City, Missouri where a group of high school students have built an electric car that runs on….social media? Yes, you heard it right! It runs on what the students have coined “social fuel”! What was once a 1967 Volkswagen Karmann Ghia is now an electrified car that has been altered to run on posts, mentions and likes on Facebook, Instagram, Twitter and YouTube. Minddrive, a non-profit group whose aim was to inspire and create a doorway for kids who may have no previous automotive experience, worked with this group of at-risk high school students as mentors to create this one of a kind car. What is even more inspiring is that this week, the team will be driving the Karmann Ghia from Kansas City to Washington D.C. where they will be meeting with elected officials to promote education and funding for programs like Minddrive. Along the way, they will be stopping at schools in Illinois, Indiana, Ohio and Pennsylvania to give presentations. It will take a total of 71,040 watts to reach D.C. You can help this ingenious car and its creators reach the American capital! Share this blog on Twitter by using the #MINDDRIVE or mention @mindriveorg. You can also use Facebook “Likes and Shares”, Instagram follows and shares, as well as YouTube video plays, follows and shares. You’re cleaning out your car and are struggling to get the vacuum to reach the back! No wait, you’re cleaning out your car, but you don’t have a vacuum? Say goodbye to your frustration as Honda has introduced the HondaVAC. 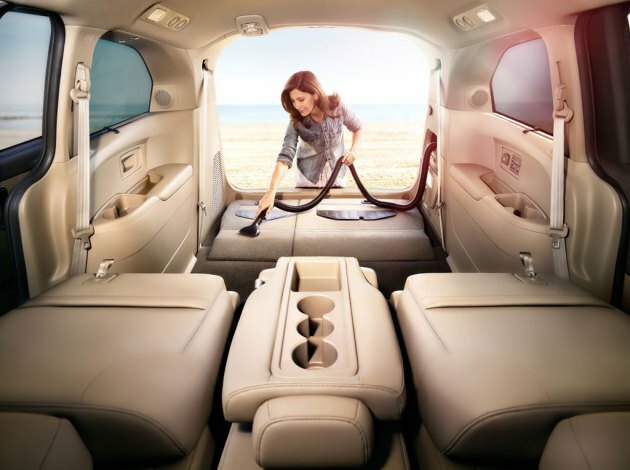 Yes, Honda has created the first in-car vacuum, which will make its debut in the all-new 2014 Honda Odyssey. This vacuum is exclusive to the Touring trim adding to the already impressive styling, unmatched safety ratings and top of the line features and technologies the Odyssey has always been known for. Along with Shop-Vac, Honda has created a powerful vacuum that comes with nozzle accessories that are neatly integrated into the rear-cargo area. With powerful suction capabilities and a hose that can reach every corner of your vehicle, you won’t have to worry about your children making a mess or your dog shedding anymore. With an electric motor, you can use the HondaVAC continuously while the engine is running. Alternatively, you can use the vacuum for up to eight minutes while the car is turned off. The 2014 Honda Odyssey provides additional standard technology on the Touring edition such as; keyless Smart Entry with Push Button Start, an SMS text messaging function, and HondaLink featuring Aha Mobile Interface. If you would like more information on HondaLink , please visit our previous blog and video.